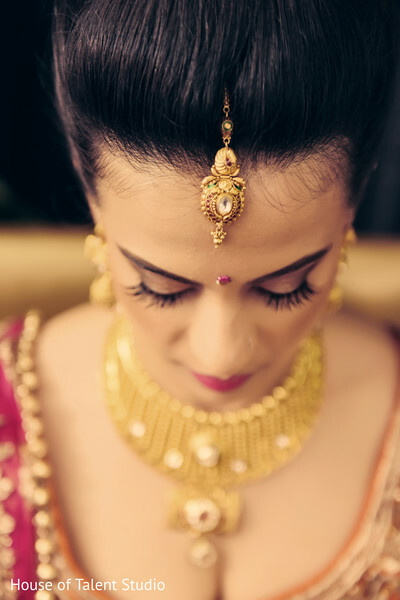 Here at Maharani Weddings we are given the bountiful opportunity to relive a bride’s special day over and over again. 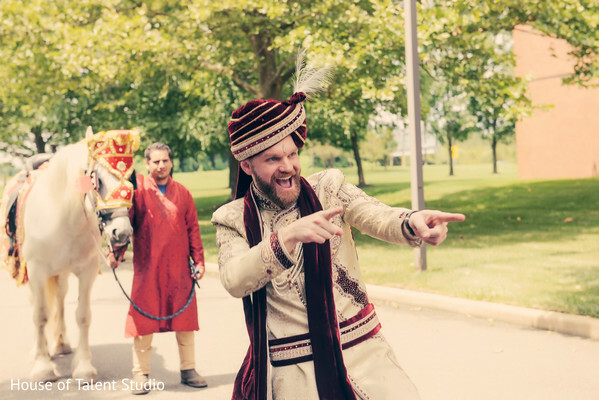 And, it doesn't seem to amaze us how unique each and every wedding we come across is. 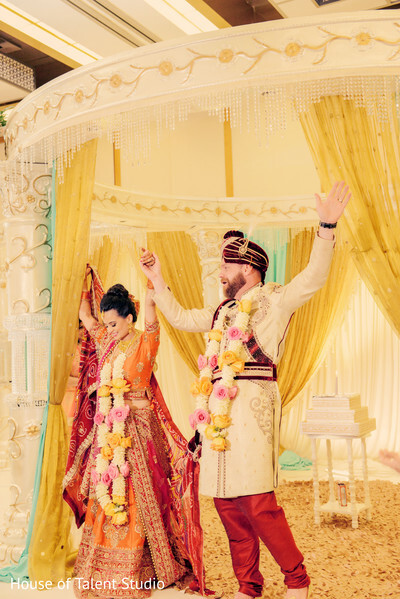 It doesn’t have to be a full-blown baraat led by an elephant or an over the top mandap. 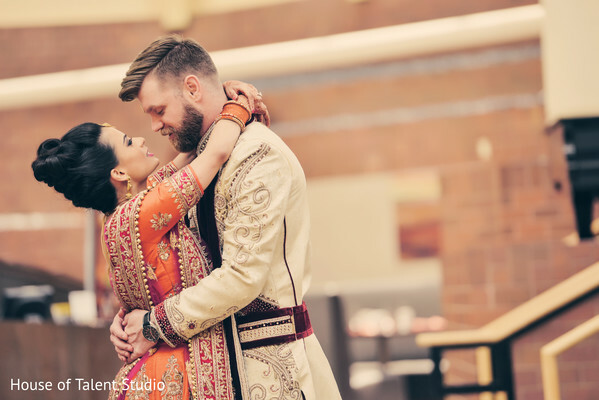 To me, the luxury is in the groom’s smile when he sees his bride that really brings on the waterworks. 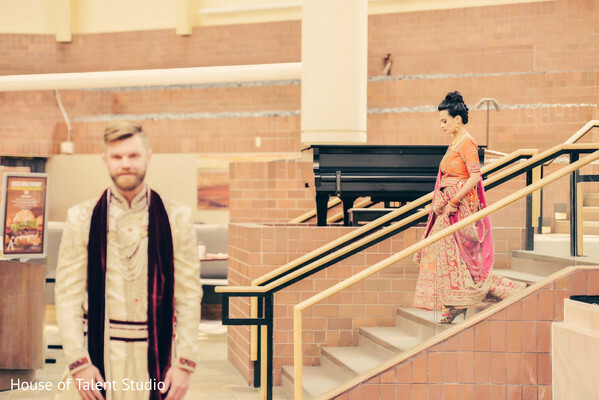 Such is this exquisite journey into Suvarna and Scott’s Fusion Indian wedding at the Hyatt Regency in Princeton. 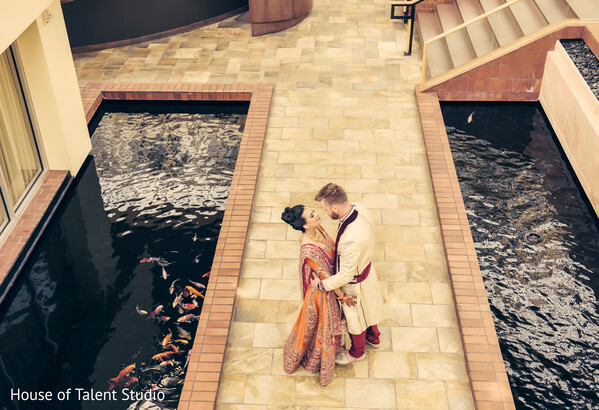 Every image captured by House of Talent Studio has me rooting for this bride and groom! 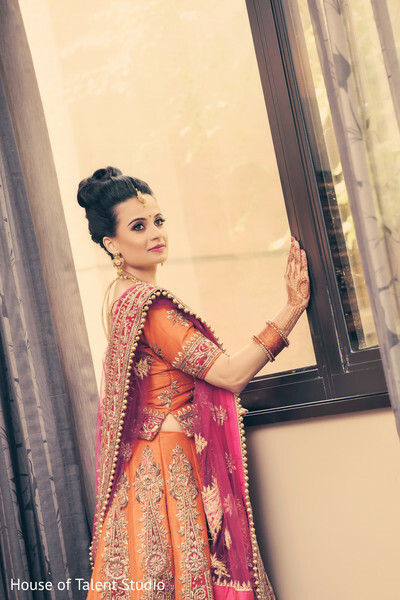 Suvarna reigned supreme in an orange brocade and hot pink lengha with dangling kundan jewelry. 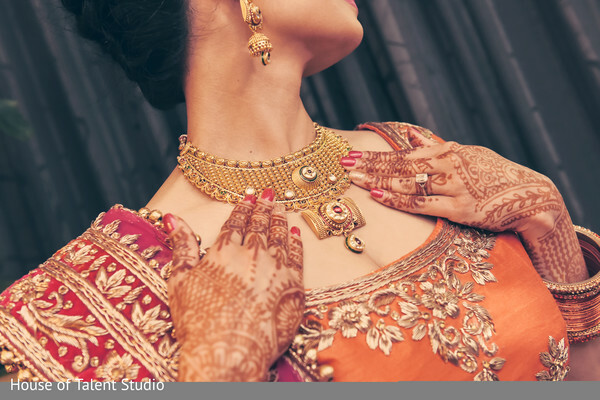 The twinkling of the jewels most certainly made an impression on Scott during the first look in one of the most treasured moments of the day. 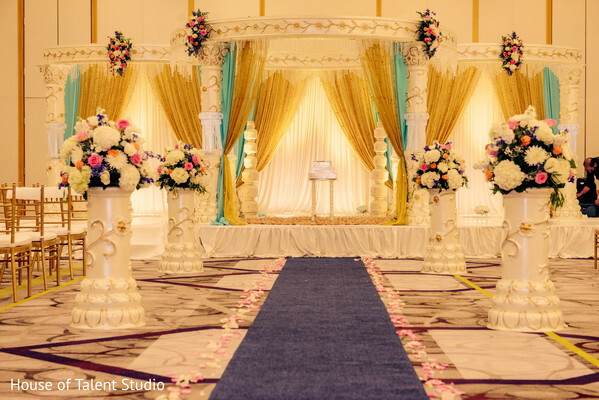 Mandaps by Dhoom waved their magic decor brush and transformed the ballroom into pure elegance. 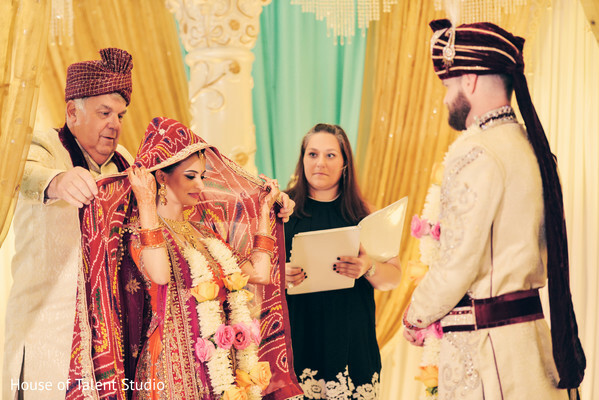 Colorful blooms, an ivory white mandap and gold and chiavari chairs added a whimsical glow to the room that any bride would be elated to walk down in. 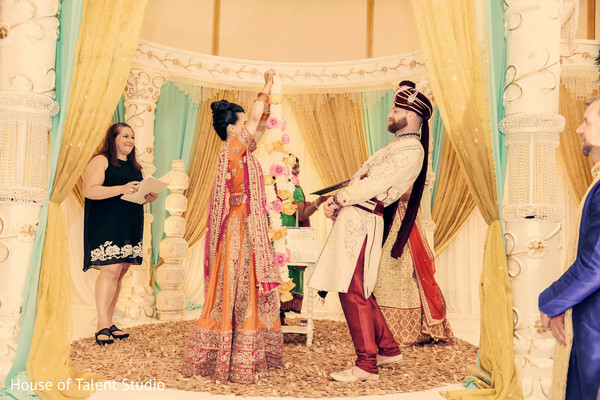 Spearheaded and designed by Touch of Elegance Event Planners, this is one wedding you don’t want to miss. 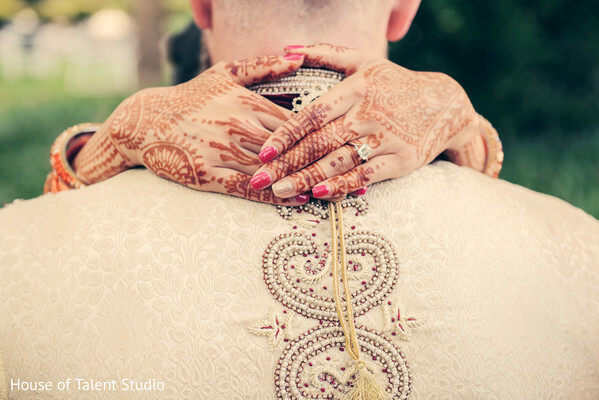 Get lost in all the pretty moments with our curated gallery. Get ready to rock out! You know when DJ Shilpa of Shilpa Entertainment enters the room, you are guaranteed one rocking party! 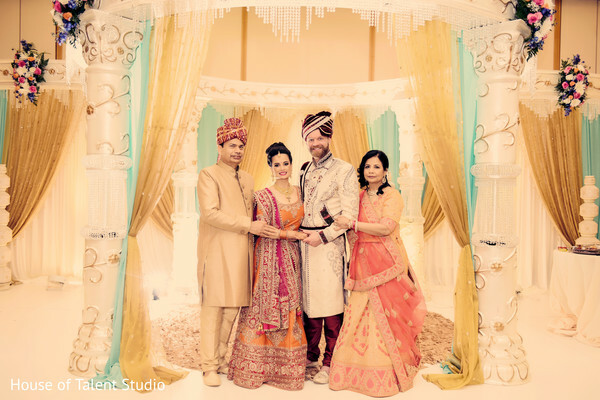 House of Talent Studio, Shilpa Entertainment and Touch of Elegance Event Planners are members of the Platinum Guide. Love what you see? Explore their portfolios.